AMAZING! 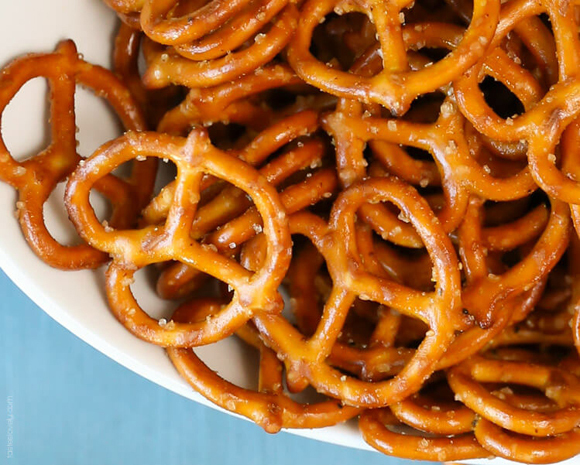 Crunchy, sweet, and salty. You can't eat just one. Mix sugar, cinnamon, nutmeg, orange peel, and salt together in a bowl. Whisk egg white, vanilla, and water together in a separate bowl until frothy. 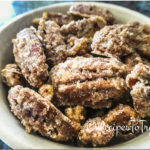 Toss pecans in the egg white mixture. Take out the pecans with a slotted spoon and transfer to large zip lock bag. Add the sugar mixture to the bag with the pecans and shake the bag until evenly coated. Spread coated pecans onto a baking sheet covered with parchment paper. Bake in the preheated oven, stirring every 15 minutes until pecans are evenly browned, about 1 hour. Let nuts cool completely on sheet. 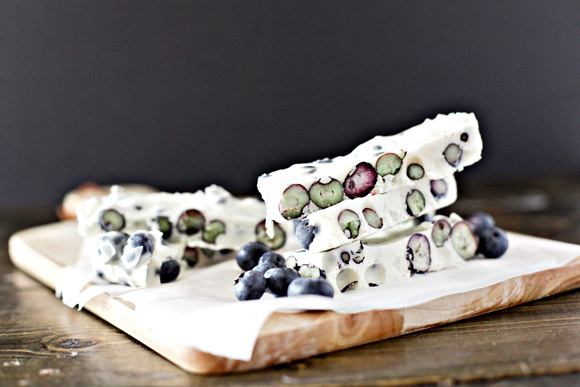 Whether you decide to eat this as a snack or a dessert either way it is delicious. That it's low in calories is just another bonus. One serving has about 150 calories. Spiralize Apple (unpeeled) using the smallest blade. Discard core and seeds. 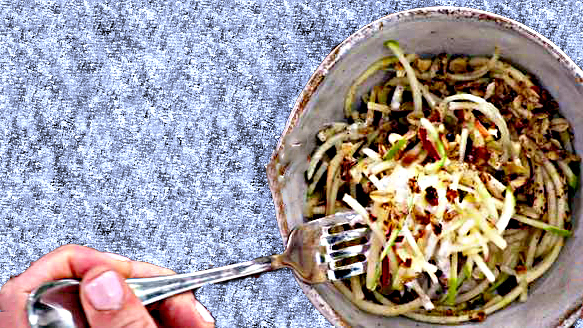 Toss spiralized apple in lemon juice. Heat a saute pan over medium heat. Toast pecans and oats in a pan until fragrant and slightly golden. Melt butter with oats and pecans – add 1 teaspoon cinnamon, raisins, and 2 tablespoons brown sugar and cook until slightly caramelized. Remove from heat. Stir ½ teaspoon cinnamon 1 teaspoon brown sugar into Greek yogurt. 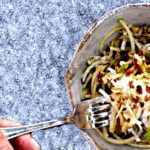 Divide yogurt into two bowls and top with spiralized apple and oat mixture. You will have granola mixture left over. Store in air tight container in the fridge. In a medium bowl, mix vegetable oil, dry ranch dressing mix, garlic salt and cayenne pepper. 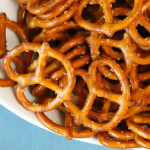 Place pretzels in a medium baking dish. Coat with the vegetable oil mixture. 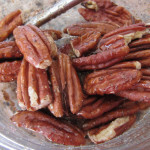 Honeyed Pecans add a touch of sweetness and crunch to your favorite green salad. Make extra because Honeyed Pecans are good for snacking, too. Preheat oven to 325°. Microwave honey in a bowl at HIGH 20 seconds. 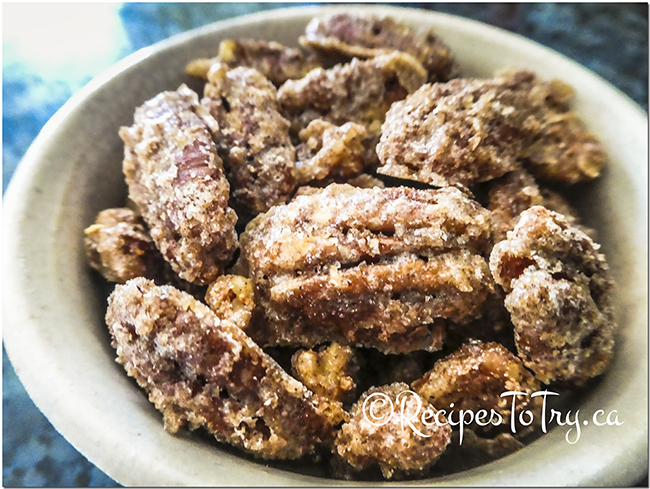 Stir in pecan halves. Coat a parchment paper-lined jelly-roll pan with cooking spray; spread pecans in a single layer on pan. 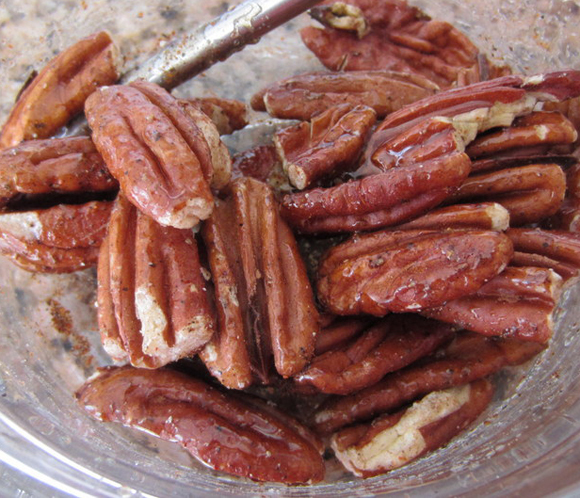 Combine sugar, salt, and a pinch of ground red pepper; sprinkle over pecans. Bake 15 minutes or until toasted, stirring after 8 minutes. Cool completely; break into pieces. The perfect finger food that are a perfect bite size appetizer to impress your guests. Preheat oven to 450°. Line a baking sheet with parchment paper or spray with cooking spray. Pour water into the bowl of a stand mixer (see note if you do not have a stand mixer), sprinkle yeast over top, add sugar and stir. Allow yeast to bloom for 5-10 minutes. Once it is nice and foamy, it is ready. 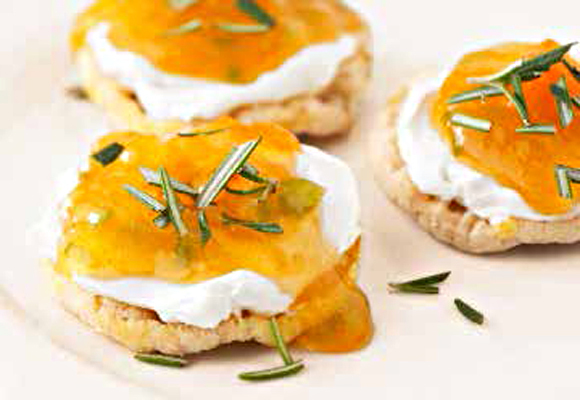 Meanwhile cut cheese into 36 even pieces, less than ½ ounce each. Fill an 8 quart pot with water and bring to a boil over medium high heat. In a small bowl beat egg and 2 tablespoons water with a fork. Set aside. Sprinkle clean countertop with ¼ cup flour. Add flour and salt to mixer. Knead for 3- 5 minutes until the dough comes together in one ball. Add more flour a tablespoon at a time as needed, if bread is too sticky to come together. Dough should be tacky when you pull it out of the mixer, not sticky. Place dough on floured countertop and knead in flour until it is no longer tacky, just a minute or two. Form dough into a ball. We are going to cut this ball into 36 (somewhat) even pieces. First quarter the ball of dough. Roll each quarter into a fat log. Cut that into 3 pieces. Roll each piece into a log and cut into 3 pieces. When you are done you will have 36 pieces. Roll each dough piece (one at a time) into a ball and then flatten it into a circle. 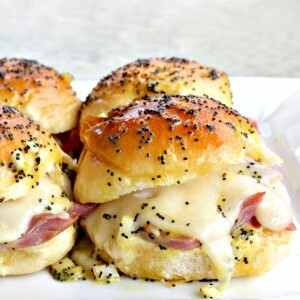 Add a piece of cheese in the center. 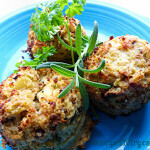 Carefully pull each side over the cheese to create a ‘cheese package’ then roll the dough into a ball. Be careful to make sure you cannot see the cheese through the dough. Tap fingers in flour, pinch any tears and roll again. 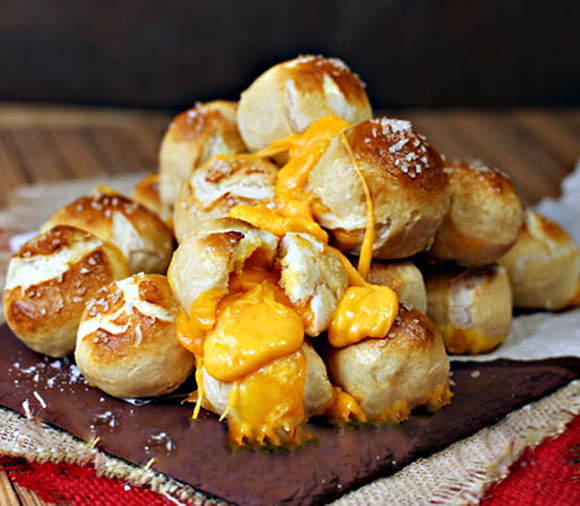 Set aside and repeat until all you have 36 stuffed dough balls. Carefully, a sprinkle at a time, add baking soda to boiling water. USE CAUTION: IT WILL BUBBLE UP. Place dough balls into boil water a few at a time. Remove with a slotted spoon after 30 seconds. Place on parchment paper to cool and repeat. 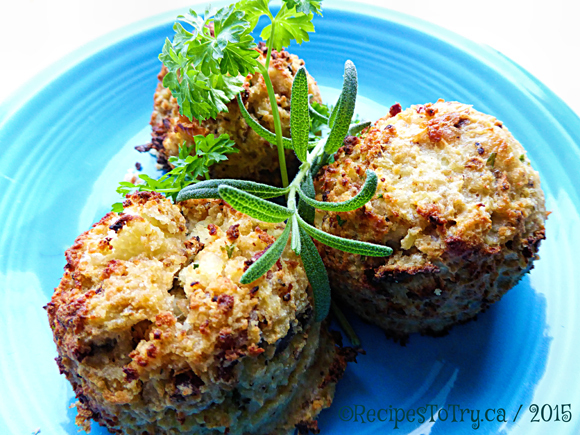 Arrange all pretzel balls on parchment so they are not touching. Brush egg wash onto each one and sprinkle with course salt. 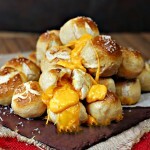 The gooey cheese may escape some of your pretzel bombs. That is a beautiful thing! Scoop all that cheesy goodness up onto the plate and serve. 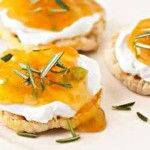 These cool and refreshing low calorie treats are a great, healthy snack. Surprisingly full of nutrient power packed with calcium, vitamin C, potassium, and antioxidants. In medium sized bowl, stir together the yogurt, honey and vanilla. Gently stir in the blueberries and mix until all combined. In a parchment lined 9 x 13 pan, pour in the yogurt mixture and spread out evenly making sure blueberries are evenly distributed. 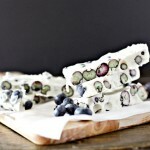 **If you have other flavored yogurt on hand, omit the honey and vanilla and just mix the yogurt and blueberries together instead.